Saint Catherine of Genoa (Caterina Fieschi Adorno, born Genoa 1447 – 15 September 1510) is an Italian Roman Catholic saint and mystic, admired for her work among the sick and the poor. She was a member of the noble Fieschi family, and spent most of her life and her means serving the sick, especially during the plague which ravaged Genoa in 1497 and 1501. She died in that city in 1510. In 1551, 41 years after her death, a book about her life and teaching was published, entitled Libro de la vita mirabile et dottrina santa de la Beata Caterinetta de Genoa. This is the source of her "Dialogues on the Soul and the Body" and her "Treatise on Purgatory", which are often printed separately. Her authorship of these has been denied, and it used to be thought that another mystic, the Augustinian canoness Battistina Vernazza, who lived in a monastery in Genoa from 1510 till her death in 1587 had edited the two works, a suggestion discredited by recent scholarship, which attributes a large part of both works to St Catherine, though they received their final literary form only after her death. 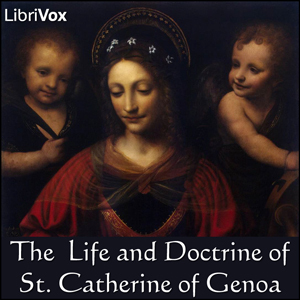 The Life and Doctrine is a biographical sketch of St. Catherine, filled with her thoughts and experiences with God. In this, there are many examples of how we too can reach perfection in our relationship with God.